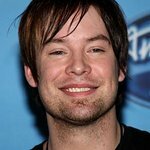 David Cook won the seventh season of American Idol. He took part in the 2008 American Idol Gives Back program that raised money for charity. Cook was honorary chair for Accelerate Brain Cancer Cure and has spoken publicly about the loss of his brother to brain cancer. 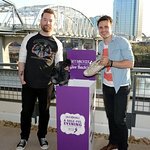 David made a live recording of “Permanent” available as a charity single on iTunes to benefit the organization. Since 2009, David has been involved in the Chris Evert Charities Pro-Celebrity tennis classic. In 2012, he had to make a special effort to be there, as he had been performing in Singapore two days before. The event funds family and child services throughout the state of Florida. Google trends for "David Cook"